In some of my earlier NK News articles, I examined how North Korea’s relations with China, Iran, and Mongolia – three states that Pyongyang traditionally regarded as their friends and allies – have been adversely affected by factors like the countries’ divergent strategic priorities, their search for alternative partners, and Pyongyang’s domineering attitude. Conflicts of this kind repeatedly occurred between North Korea and Vietnam, too, despite the fact that in several respects, the DPRK had more in common with the Vietnamese Communist regime than with any other country. Pure, unadulterated national egoism was the root cause of the problem, and the ham-fisted and tactless style of North Korean diplomacy often added insult to injury. 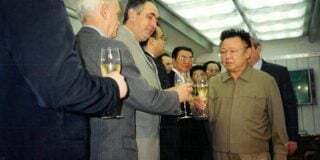 Pham Thi Thu Thuy, a Vietnamese contributor to NK News, suggested that “signs of strain go back to at least the year after Vietnam and South Korea normalized diplomatic relations,” i.e., to the early 1990s. Other authors (such as Kim Kook-Chin) dug deeper, drawing attention to Pyongyang’s disapproval of the Vietnamese invasion of Cambodia (December 1978) and Kim Il Sung’s support for the exiled Cambodian leader, Norodom Sihanouk. Actually, however, the first cracks in the Vietnamese-DPRK friendship appeared as early as 1968-1969, barely two years after their wartime collaboration had reached an all-time high. 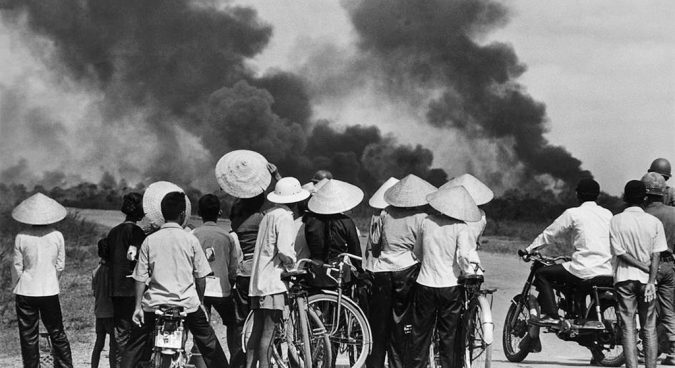 In the mid-1960s, one would have hardly expected a conflict to occur between Pyongyang and Hanoi. On the contrary, the North Korean leaders and their North Vietnamese comrades felt closer to each other than to any other Communist regime, with the exception of Castro’s Cuba. They saw their countries as front-line states in the global struggle against “American imperialism,” and chafed at the fact that the Communist giants – Mao’s China and Brezhnev’s USSR – were as preoccupied with quarreling with each other as they were in standing up to the U.S. Both the DPRK and the Democratic Republic of Vietnam (DRV) held sway over the northern half of a divided Asian nation, both sought to achieve unification by means of armed struggle, and both harbored strong distrust of “Soviet revisionism” but were increasingly disillusioned with China’s Cultural Revolution. Apart from ideological solidarity, Pyongyang had very practical reasons for cooperating with Hanoi. Starting in October 1966, Kim Il Sung launched a series of commando raids against the U.S. and ROKA troops stationed along the border, with these hit-and-run attacks eventually culminating in an unsuccessful attempt to storm the Blue House and assassinate South Korean President Park Chung-hee. In 1966-1967, the infuriated South Korean military carried out a number of counter-raids, but their eagerness to retaliate was not shared by their American allies. On the contrary, Washington did its best to hold Seoul back. Sinking deeper and deeper into the quagmire of the Vietnam War, the U.S. government did not want to open a new front in Korea if it could help it. Therefore, Kim Il Sung had much to gain from keeping America bogged down in Vietnam. Anxious to achieve this aim, Pyongyang went to considerable lengths to help Hanoi withstand the U.S. onslaught. In the fall of 1966, North Korea began dispatching fighter pilots to the DRV, several of whom died in action. The number of these pilots, estimated at 200 or less, was far lower than that of the South Korean troops who fought on the U.S.-South Vietnamese side (a total of over 300,000 from 1964 to 1973), but one should not look at this figure in isolation. The DPRK also provided North Vietnam with military and economic aid (such as arms, explosives, uniforms, steel, diesel engines, and tractors), and the amount of this assistance proved fairly impressive if compared to the contributions of other small Communist states. In 1967, the peak of Pyongyang’s involvement in the war, the value of North Korean economic aid reached 20 million rubles. Of the East European countries, only Poland coughed up more in that year: the other “people’s democracies” fell far behind the DPRK, despite their higher living standards. Nevertheless, the very fact that North Korea’s assistance to Hanoi was strongly motivated by self-interest also implied that Pyongyang would not take kindly to any steps that could potentially enable the U.S. to get off the Indochinese hook and refocus its attention on the Korean peninsula. Increasingly exhausted by the war, in May 1968 the U.S. and the DRV began peace talks in Paris, a process accompanied by a long pause in American air raids on North Vietnam. Instead of welcoming this much-needed respite from bombing, the North Korean leaders adopted a conspicuously reserved attitude. From the very beginning, the North Korean media tended to ignore or downplay the peace talks, and occasionally expressed doubts about the chances of a negotiated settlement, though it still regularly covered the ongoing ground fighting. 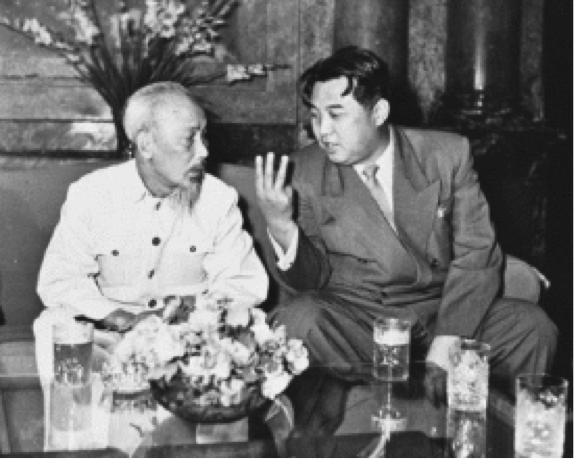 In effect, Kim Il Sung adopted the position that the Vietnamese ought to live (and die) under bombs as long as possible, rather than to put an end to the war as soon as conditions allowed it. The more B-52 bombers rained death and destruction on the DRV, the fewer planes the Pentagon could deploy to Korea in case of an emergency like the North Korean seizure of the U.S. Pueblo spy ship. In diplomacy, national egoism is more the rule than the exception, but Kim Il Sung carried this principle to the extreme. By the time of the Paris Peace Accords (27 January 1973), North Vietnamese diplomats had become painfully aware of North Korea’s self-centric and insensitive attitude. The aid agreement signed in 1972 earmarked only 1.5 million rubles for the DRV, and Pyongyang delivered barely one-third of the promised goods. In January 1973, the North Koreans scaled back their assistance even further. They capped the promised amount of aid at 500,000 rubles, flatly refused to supply any rice, and went so far as to block a Soviet attempt to re-export a North Korean rice shipment to the DRV. Contrary to Communist customs, the DPRK authorities did not hold mass meetings to celebrate the Paris Peace Accords, and when the thirty Vietnamese students in Pyongyang wanted to organize a celebration of their own, the North Korean cadres did not permit it. No wonder that in May 1973, the North Vietnamese chargé d’affaires told a Hungarian diplomat that his embassy did its best to dissuade Hanoi from sending students to the DPRK. 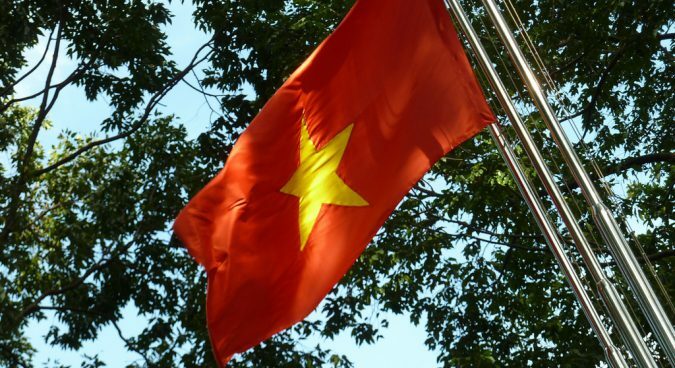 The number of Vietnamese students had fallen from 2500 in 1968 to 50 in 1973, and in the spring of 1973, the DRV authorities summarily recalled the few remaining students, including those who had not completed their studies yet. Actually, many Vietnamese students demanded to be transferred to other Communist countries. They complained that the education they received in the DPRK was dominated by political subjects (above all, the biography of Kim Il Sung), rather than technical and scientific ones. 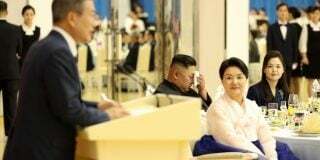 They were also irritated by the extreme glorification of the Great Leader, all the more so because they felt that the North Koreans effectively slighted Ho Chi Minh when they presented Kim as the greatest revolutionary figure in Asia. To make matters even worse, in 1972 a Korean-educated interpreter from the DRV embassy was badly beaten up by some North Koreans for the sole reason that the hapless young man had dated a Korean girl. One can observe distortions in the activities of the state security organs, for which the personality cult is accountable. There is no change in the excessive scale of the operations of the state security organs. […] They want to know and hear everything. The work of the state security organs has been organized in such a way that they virtually stand above the law, violate the laws, and strictly monitor the movement of the individual members of society; their permission is required for any travel within the country. […] Anyone who arrives in Pyongyang by train or some other vehicle is strictly checked, and no one is allowed to enter the area of the capital without the checking of his identity. Many people disappear in the DPRK, the ambassador said. One does not know what has happened to certain earlier leaders of renown. People are fearful in a certain sense, because the current practice of the state security organs creates opportunities for the persecution of people. The DRV ambassador expressed the opinion that due to the personality cult, the excesses of the state security organs, and the systematic replacement of cadres […], there is increasing discontent among the population. From a number of families, one or another person is missing, many families have been affected by political persecution, the head of the family or some other family member was dismissed, and this affects wide strata [of the population]. North Korean-Vietnamese disputes over trade and aid continued until the very end of the Vietnam War. In 1974, the value of North Korean aid stood at 3 million rubles, but the DPRK failed to supply essential goods as rice and artificial fertilizer. In the spring of 1975, the North Korean authorities celebrated Hanoi’s final victory over Saigon with relatively little fanfare (an attitude that the Vietnamese attributed to Pyongyang’s jealousy), and promptly adopted the position that it was no longer necessary to provide aid to Vietnam. On the contrary, in the summer of 1976, Kim Il Sung told the less-than-pleased Vietnamese ambassador that now it was Hanoi’s turn to give aid to North Korea. The Vietnamese leaders doubted if their war-torn, newly unified country could afford to provide as much aid as Pyongyang wanted, nor did they think that their selfish North Korean comrades deserved the requested assistance. In the mid-1970s, when both North Korea and Vietnam joined the Non-Aligned Movement (NAM), Pyongyang and Hanoi soon found themselves in direct competition with each other. At the Colombo conference of the non-aligned states (August 1976), both countries applied for admission to the NAM’s influential Coordinating Bureau. Uncertain of their chances of winning by fair means, the North Koreans attempted to persuade the Vietnamese delegation to withdraw its nomination in favor of the DPRK. Understandably enough, the Vietnamese showed no inclination to comply with this impertinent request, but the North Koreans were determined not to be denied. With all the finesse of a bull in a china shop, they asked the chair of the relevant NAM session to cancel Vietnam’s nomination. Needless to say, the chair was not amused, and told them that they should rather discuss this issue with the Vietnamese. 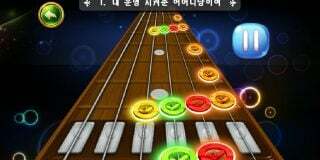 In the end, Vietnam was duly admitted to the Bureau but the DPRK was not. Exasperated by the fiasco, the North Koreans vented their frustration on the Vietnamese delegation. Ignoring the beam in their own eye, they charged that the Vietnamese were not as altruistic as they should have been. 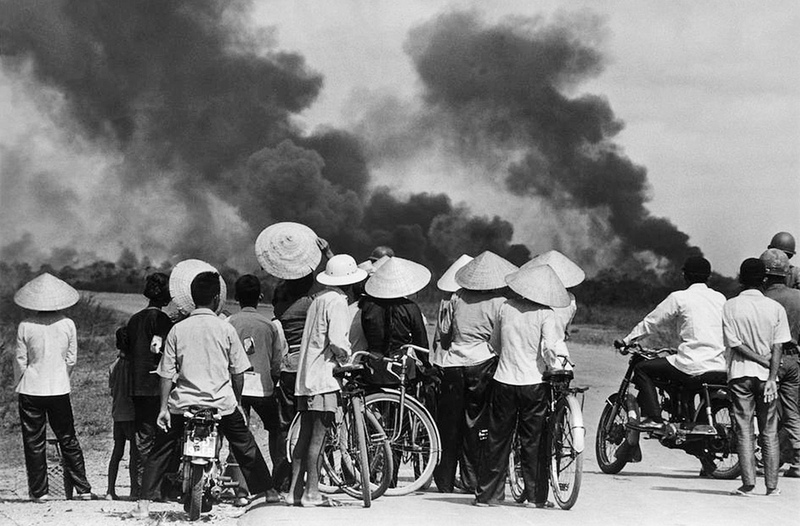 Thus, it seems that the public dispute which erupted between Pyongyang and Hanoi over the Cambodian-Vietnamese War was more a culmination of an already greatly aggravated conflict than a turning point from friendship to hostility. 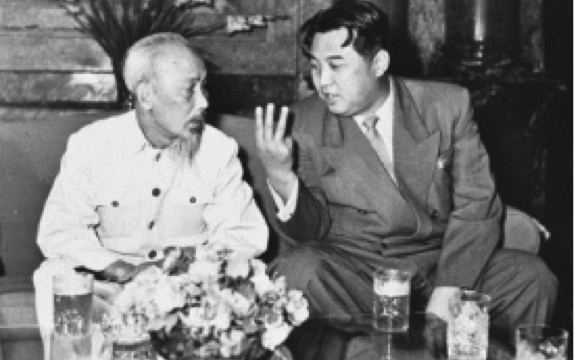 North Korean-Vietnamese discord was not simply a reflection of the Sino-Soviet rivalry but also had a dynamics of its own, largely fueled by the narrow-minded egoism of the North Korean leadership. Subscribe to read the remaining 2238 words of this article.